For a long period, the continuing influence of Neoplatonism on the fine arts during the Renaissance seemed to be more or less a commonplace in art history. The Christian versions of Plato’s philosophy for which Petrarch had yearned, enriched during the second half of the fifteenth century with important textual materials through Marsilio Ficino’s pioneering translations and interpretative work, played a key role in the way in which artistic production was understood during the Renaissance. In the mid-twentieth century, the resulting synthesis was discussed by the Warburg circle of outstanding scholars such as Ernst Cassirer, Erwin Panofsky, Rudolf Wittkower, Ernst Gombrich, Edgar Wind, Eugenio Garin and André Chastel. This view was associated with a general assumption that it is not possible for artists to be concerned exclusively with problems internal to art, and that they always have to deal with cosmological issues such as those involved in philosophy and theology as well. The encounter with Neoplatonism thus led to the development of a new method in art history: iconology. This was intended to give a scholarly quality to an ahistorical, ‘aestheticizing’ form of art history. writing regarding the influence of Neoplatonism on the fine arts. By contrast, Italian and, in particular, American scholars have continued to assume that there was a close link between Neoplatonism and art. 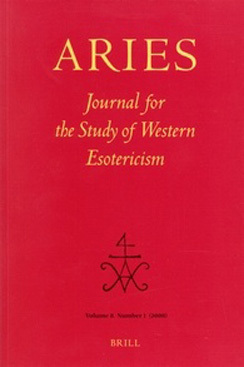 At the start of the new century, this approach came to general prominence through conferences and publications by Aphrodite Alexandrakis, Liana De Girolami Cheney and John Hendrix (Neoplatonism and Western Aesthetics, 2002; Neoplatonism and the Arts, 2002; Neoplatonic Aesthetics: Music, Literature & the Visual Arts, 2004). This approach has produced important results for art history, but there has been a lack of reflection on the scholarly history and methodology involved in it. The aim of this conference, organized by the University of Vienna’s Institute of Art History in collaboration with the Istituto Italiano per gli Studi Filosofici, is to conduct a debate regarding these heterogeneous research approaches. 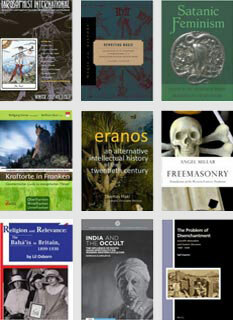 The intention is to enable art historians – both those concerned with the history of their own discipline and also those whose research is on the art and culture of the Italian Renaissance itself – to meet up with historians from a wide variety of specialist fields, so that advocates and opponents of the view that Neoplatonic philosophy influenced the fine arts during the Italian Renaissance can have an opportunity to discuss their different standpoints. We would be delighted if you were able to take part in the conference. abstract with a maximum of 500 words by 31 May 2011.